What is the European Prevention of Alzheimer’s Dementia consortium? The European Prevention of Alzheimer’s dementia (EPAD) is an interdisciplinary research initiative that aims to improve the understanding of the early stages of Alzheimer’s disease and deliver new preventative treatments. 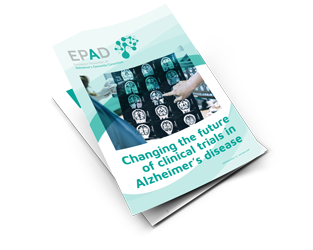 The largest ever public-private partnership in Alzheimer’s disease research, EPAD combines knowledge and expertise from 39 European organisations across multiple sectors, bringing a wealth of experience to our activities. What is the purpose of EPAD? 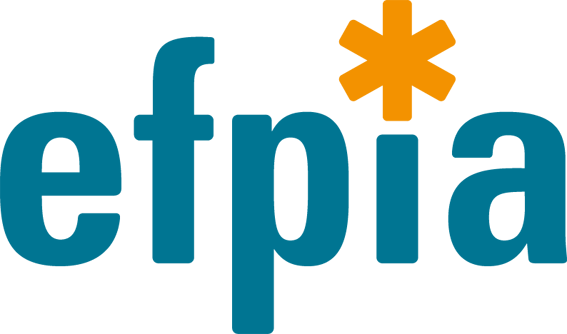 EPAD has developed a proof-of-concept platform which efficiently enables the undertaking of adaptive, multi-arm proof of concept studies for early and accurate decisions on the ongoing development of effective, targeted interventions that can slow or stop dementia. Dementia is an umbrella term used to describe a set of symptoms that can include memory loss, confusion, and difficulties with language. There are many different types of dementia. These occur when the brain is affected by certain diseases or conditions. Alzheimer’s disease can cause a specific type of dementia that usually develops slowly and gets worse over time. During the disease, proteins build up in the brain to form structures called ‘plaques’ and ‘tangles’. This can lead to the loss of connections between nerve cells, and eventually to the loss of brain tissue. There are currently no treatments or cures for Alzheimer’s dementia. How many people are affected by Alzheimer’s dementia? There are an estimated 46.8 million people worldwide living with dementia in 2015 and this figure is set to rise to 131.5 million by 2050. (World Alzheimer Report 2016). Alzheimer’s disease is the leading cause of dementia globally. 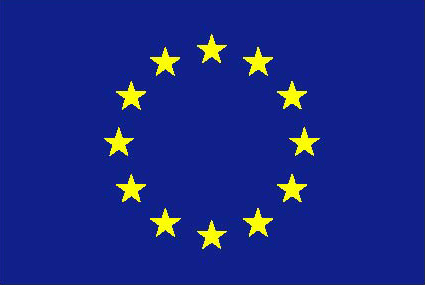 It affects around seven million people in Europe. Why are you focusing on prevention rather than treatment? Attempts to develop new therapies for treating Alzheimer’s disease have so-far been unsuccessful. It is a progressive disorder and it is well known that the signs of the disease – plaques and tangles – can be found in the brain decades before the first symptoms appear. Researchers believe that early intervention may be a more effective way to tackle the condition. 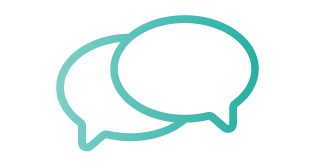 We have designed the EPAD PoC (proof of concept) platform to accommodate pharmacological, biological or nutraceutical interventions that are Phase II ready. It offers pharmaceutical and biotechnology organisations, academic researchers, and funders an efficient, adaptive PoC trial designed to deliver early, accurate results, in the most efficient way. At the moment, it is not yet possible to register on an individual basis for inclusion on the EPAD Register. Potential research participants are selected from ongoing cohort studies in Europe (also known as parent cohorts) and from referral clinics. However, in the UK, you can also sign up to national registers such as Join Dementia Research and the Scottish Brain Health Register which EPAD recruits from. There may be a register open in your region which you can join. Please click on the relevant location below to be taken to the register in your locality. There are more registers opening all the time, so please check back regularly, or follow @IMI_EPAD on Twitter for updates on newly linked registers. If you are in Scotland, please sign up to either the Scottish Brain Health Register or Join Dementia Research. In England and Wales, please contact Join Dementia Research. If you are in the Netherlands, you can sign up at VUmc Hersenonderzoek. All parent cohorts that join EPAD are listed on a ‘virtual’ EPAD Register. This register is the first single, pan-European register of people across the risk spectrum for dementia. Selected research participants may then move from their parent cohort on the EPAD Register to the EPAD cohort. Eventually, some of these selected participants from this cohort will take part in an EPAD trial.